Look up project managers and project staff with this premium, downloadable directory from Bookyourdata.com. 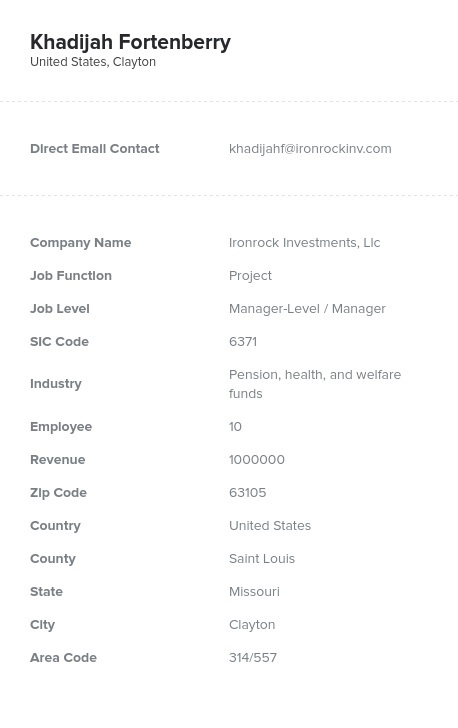 This ready-made data product is full of the emails, phone numbers, titles, and contact information that you need to connect with those working project departments. Network with a vast group of project managers spread out across multiple industries and institutions with this easy-to-use, easy-to-download data product from Bookyourdata.com, which consolidates multiple points of contact into one targeted lead list. Use this product if you want to pull a list of the many decision-makers who work in the project department of many companies at once and jump-start your business-to-business (B2B) marketing campaign more efficiently. In this list, you may find project managers and professionals as well as project-related staff. You can find their key contact information and tell them directly about how your company's product or service can help them complete their projects efficiently and on time. This directory of project managers is perfect for those who want to market their scheduling or project management software, tool, or organizational product. Talk to the people who need to get their projects done, and market your company more efficiently. You can download this extensive directory full of important contact information now, or you can further customize this list to focus on a more target group of specific leads. Either way, the aim at Bookyourdata.com is to help you find the best B2B contacts at an affordable price!